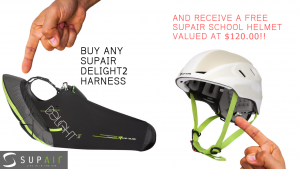 BUY ANY STOCKED DELIGHT2 AND RECEIVE A SUPAIR SCHOOL HELMET VALUED AT $120.00 ABSOLUTELY FREE!! The DELIGHT² is even more versatile than the initial DELIGHT due to its new geometry and removable mini seat plate. The Speedbag is removable. A new Cockpit design provides excellent instrument visibility. A new right sided dorsal container for easy reserve parachute access and extraction. 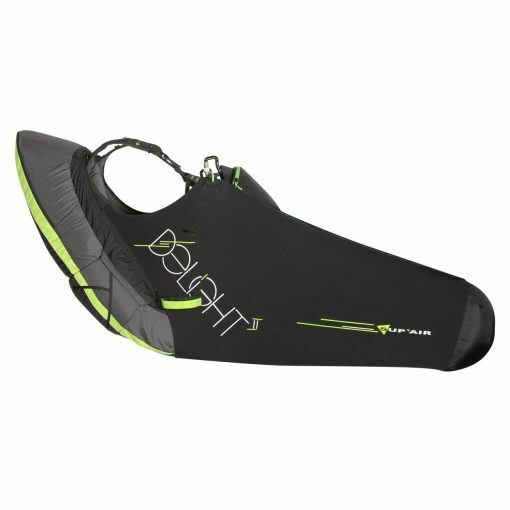 Running on take-off is made easy due to the light weight and leg straps position. Transitioning from running to seating is naturally instinctive and followed by an easy Speedbag entry. Inflight support, comfort and sensations are typically similar to those found in normal XC harness designed for longer flights. Upon landing, the seated posture is stable and efficient once your feet are out of the Speedbag. 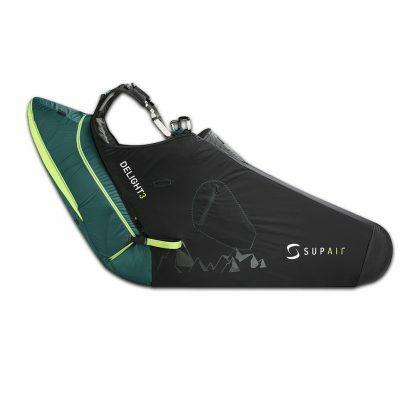 High safety level with a dorsal reserve parachute container; a backrest outfitted with a BUMP’AIR 15 cm medium density foam protection , a “Safe-T” leg strap, and Anti-BalanceSystem (ABS : stabilizer system). For regularly flying experienced pilots only. Dorsal reserve parachute pocket slightly offset right, with deployment handle located on the same side. Self-locking light 25mm aluminum buckles. Speedbag carbon fiber foot-resting plate. Speedbag integrated Cockpit with removable instrument support plate. Double stage speed-bar with adjustment system. Left sided radio pocket located inside the Speedbag. Safe-T strap with light quick release buckles. SpeedBag incline and length adjustments. Backrest adjustment with lumbar support. 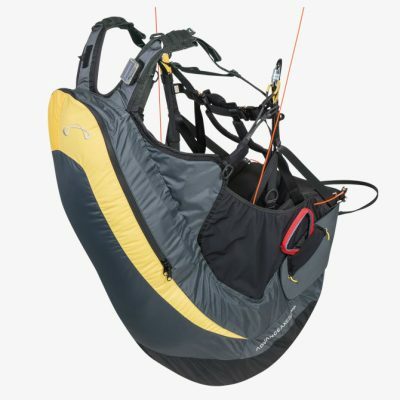 – Compared to the DELIGHT: the DELIGHT2 is a more rounded harness with better features, sturdy and more polyvalent. It was primarily designed for local flights sites rather than for hiking and flying. – Compared to a XA 13: the DELIGHT2 is definitely more accessible to the average pilot, with a stronger built and more adapted to local drive-to flight sites. – Compared to the SKYPPER: the DELIGHT2 is lighter, slimmer, less bulky while enabling the same type of flying.